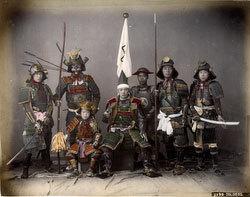 On January 10, 1873 (Meiji 6), the samurai’s right to be the only armed force was abolished and replaced by a modern, western-style, conscripted army. 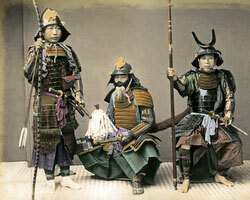 The new system was called chouheirei (徴兵令, Conscription Ordinance) and was the beginning of the end of the samurai system in Japan. 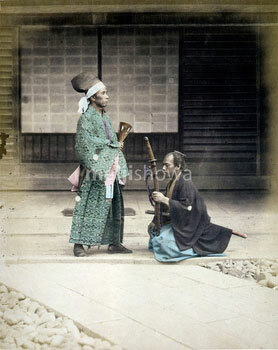 Previously, on August 9, 1871 (Meiji 4), the government had already issued the danpatsurei (断髪令, Cropped Hair Edict), encouraging samurai to cut their distinctive chonmage top-knot. It created a minor photography boom when samurai rushed to photo studios to get their photo taken before their chonmage was cut off. 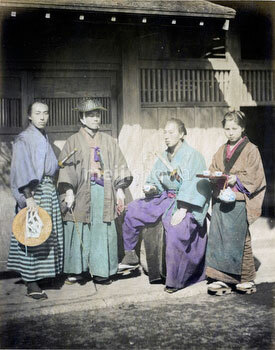 As a result of the edict, Western hair styles, called zangiri (散切り), became increasingly popular. This became a powerful symbol of the dramatic change overtaking Japanese society. 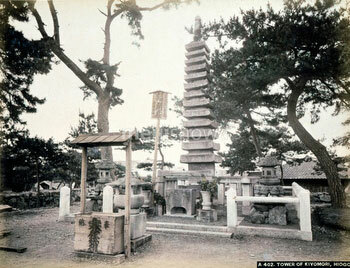 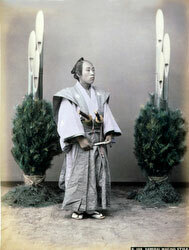 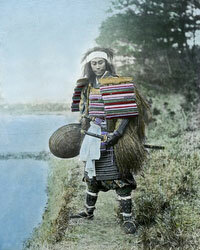 As of 1873, samurai became shizoku (士族). 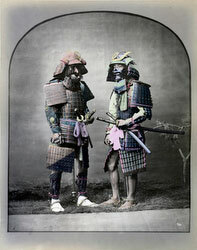 They retained some of their salaries, paid for by the government, but these were so low that many samurai were forced to find new employment. On March 28, 1876 (Meiji 9), samurai lost their right to wear swords. 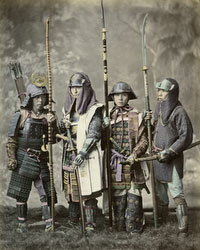 After that date, only military and police officers could wear swords. This is known as the haitorei (廃刀令, Sword Abolishment Edict). 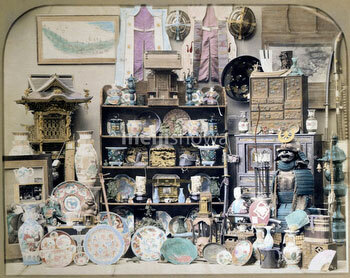 As a result of the haitorei, many Japanese sword smiths lost their job or turned to the production of farming implements and kitchen cutlery. On August 5, 1876 (Meiji 9), the government stipends were permanently suspended and samurai were required to convert them into interest-bearing government bonds (金禄公債, kinroku kosai). This measure was called chitsuroku shobun (秩禄処分, stipend measure) and was the final nail in the coffin of the samurai system.